(Austin, Texas - Thursday, June 21, 2012) - In May, Vesicular Stomatitis (VS) was detected in two horses in Otero County in New Mexico. The horses were sampled after vesicular lesions were observed on both animals. To date, 11 premises are now under quarantine. The counties of Otero, Valencia, Socorro and San Miguel have confirmed positive VS cases. The counties of Dona Ana and Roosevelt have also had suspect cases. The counties of Bernalillo and Santa Fe are considered high risk for cases of VS. According to the New Mexico State Veterinarian, based on the current findings of VS in the area: Where out of state livestock are a part of a public event such as roping, racing, breeding or other forms of public exhibition or traveling interstate, a health certificate (CVI) written within five days of entering the show will be required for all New Mexico origin livestock. The following statement is to appear on the CVI: "The animals represented on this certificate have not originated from a premises or area under quarantine for Vesicular Stomatitis (VS), or a premises on which VS has been diagnosed in the past 21 days. 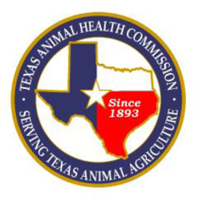 I have examined these animals and have not observed lesions or clinical signs of VS."
The Texas Animal Health Commission (TAHC) prohibits entry of animals from VS quarantined premises, and also requires livestock to be accompanied by a valid certificate of veterinary inspection. VS can cause blisters and sores in the mouth and on the tongue, muzzle, teats or hooves of horses, cattle, swine, sheep, goats, llamas and a number of other animals. Lesions usually will heal in two or three weeks. Because the signs of VS mimic those of foot-and-mouth disease (FMD), animal health officials strongly urge livestock owners and caretakers to report potential cases of VS to their private veterinary practitioner or state livestock health officials. TAHC officials encourage livestock owners to use the best means possible to limit exposure of their livestock to insect bites. It is theorized that insects are an important vector in the transmission of VS.
For more information on Texas entry requirements, visit http://www.tahc.state.tx.us/regs/entry.html or call 1-800-550-8242 and ask for the Permits Department. A USDA APHIS-VS fact sheet about Vesicular Stomatitis is available at http://www.aphis.usda.gov/publications/animal_health/content/printable_version/fs_vesicular_stomatitis_2012.pdf.